This iconic clip is the first “yes” vote from all three judges in the Britain’s Got Talent series. Back in 2007, one of the largest talent shows in the world aired on TV for the first time: Britain’s Got Talent. Britain’s Got Talent introduced all kinds of people with all kinds of talents to the world, launching many into stardom… but the first person to ever get a “yes” from all three judges, the first person to ever move on from the initial audition, had one of the most bizarre talents of all! 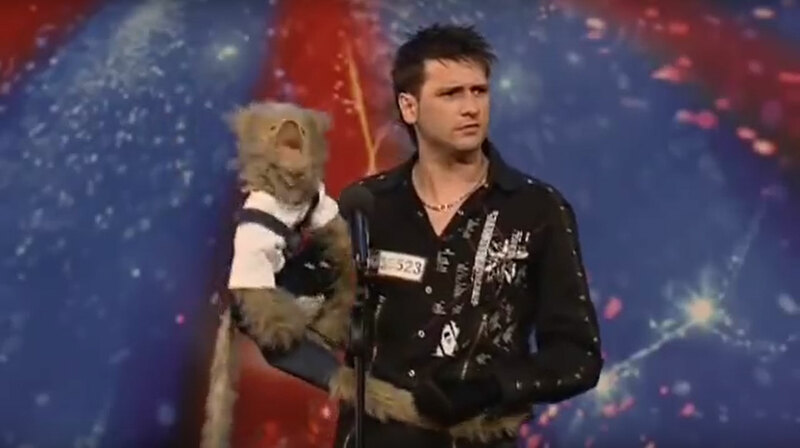 That person was Damon Scott, a puppeteer, along with his trusty monkey, Bubbles. “There’s no one else on Earth that does what I do,” he boasts just before his audition. And it’s true! Now, we’re used to seeing all kinds of crazy stunts on Britain’s Got Talent, X Factor, and the like, but– back on Season 1– Damon’s one-of-a-kind act was unprecedented.